Tonight’s sunset as seen from suburban Ferndale, Arkansas. Construction crane booms point toward the nearly full moon. They are part of the project to replace the Broadway Bridge linking Little Rock and North Little Rock. When we’re on the road, I always keep a camera at hand. And surprisingly there are times when the old iPhone 4 can do better than the little Sony camera. This was one of those times – twilight and shooting a target 240,000 miles away out of the passenger window at (ahem) the speed limit. It took a more than a dozen shutter clicks to finally get the moon in focus while the trees of the Arkansas Delta rushed by. 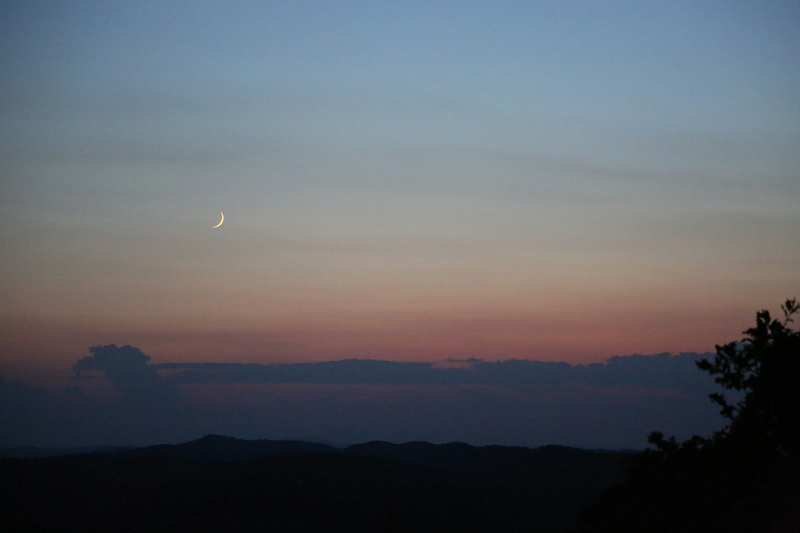 Crescent moon shines as setting sun paints the sky. And the sharp-eyed observers in Greenbrier, Arkansas, found a planet hiding in the pixels. 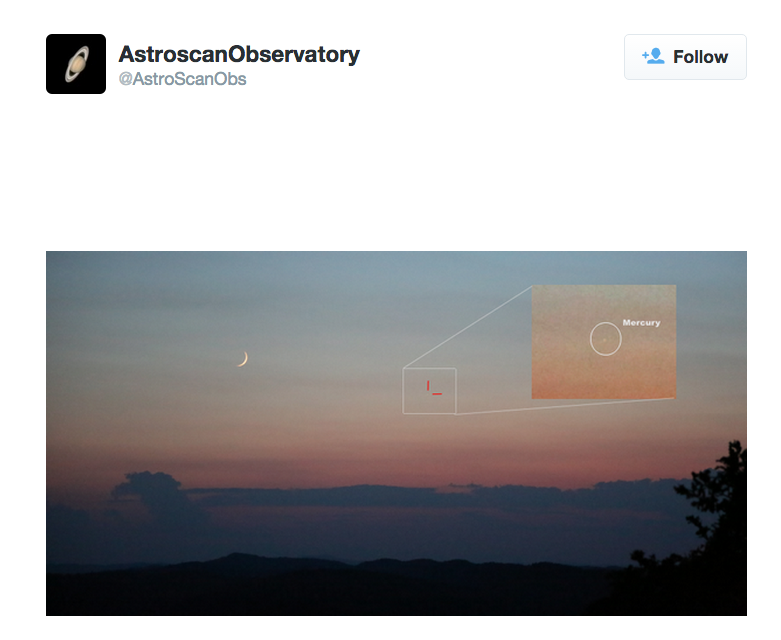 Props to @AstroScanObs! 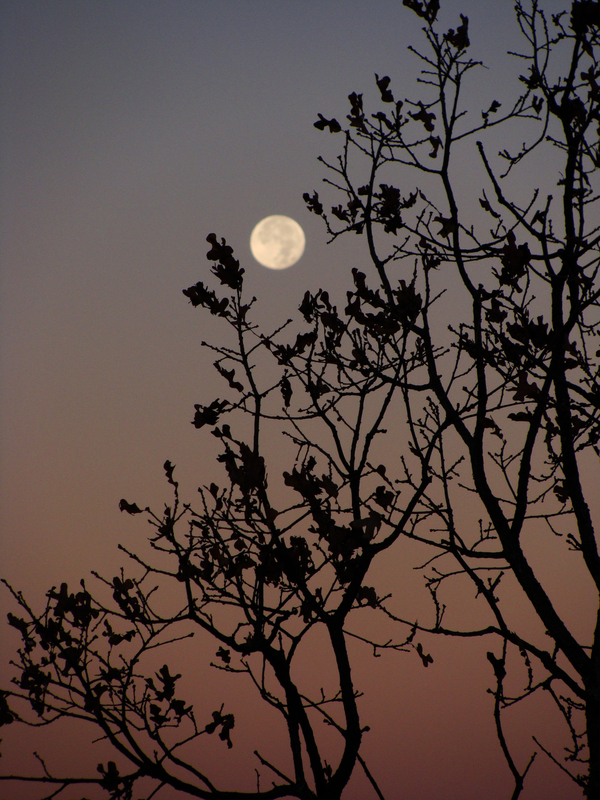 As much as we hate getting up early on the weekend, the bright moon beamed its own wakeup call through the unshaded window just before 5 a.m. — just in time for us to see the show. And what a show it was! The composite below begins at 5:21 a.m. CDT and the last frame was taken at 6:07 a.m., just as the sun was rising. 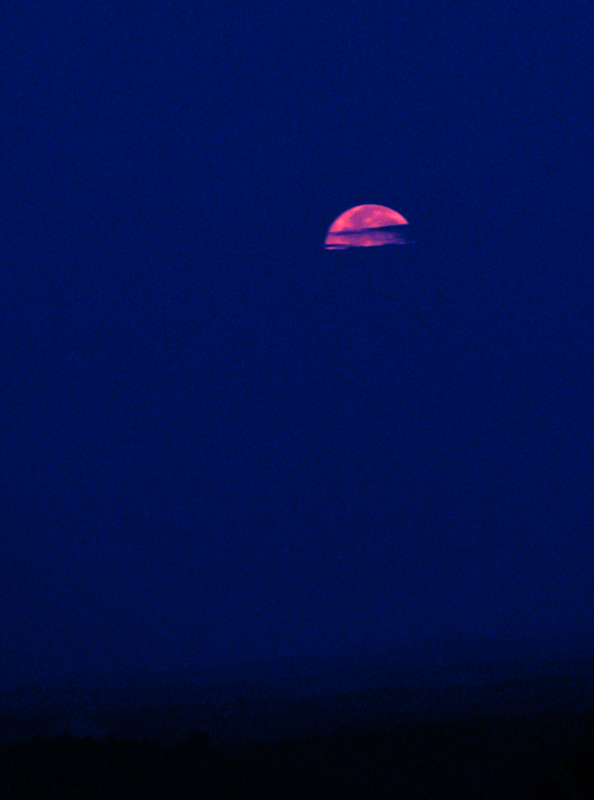 The full eclipse was too faint to see in the dawn-bright sky. 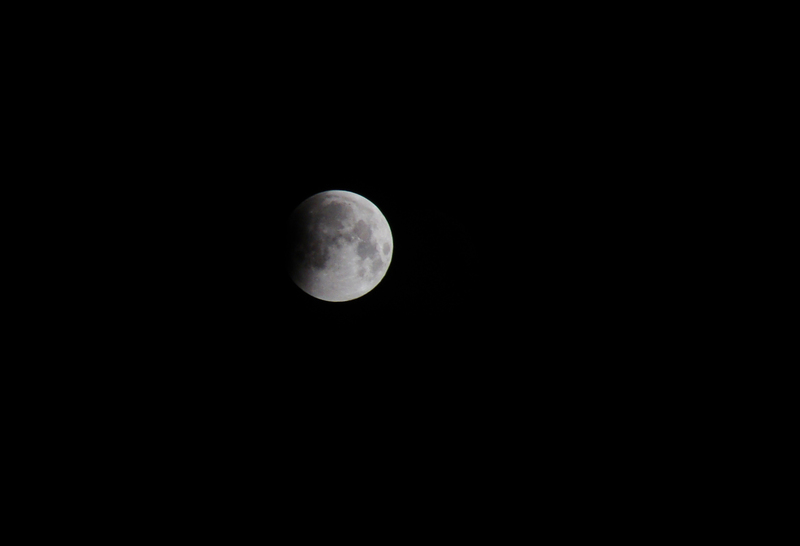 LUNAR ECLIPSE — How it looked from suburban Ferndale on April 4, 2015. It was the first clear sky day we’ve had in weeks, it seems. GOOD MORNING — Shadow just beginning to move across the moon. “Silhouette” has come up again as a theme for the weekly photo challenge. (The last time was in October 2012.) And again, we turn to our nearest neighbor, using its light to throw other objects in silhouette. Narrow clouds in silhouette against the setting super moon of Aug. 10. 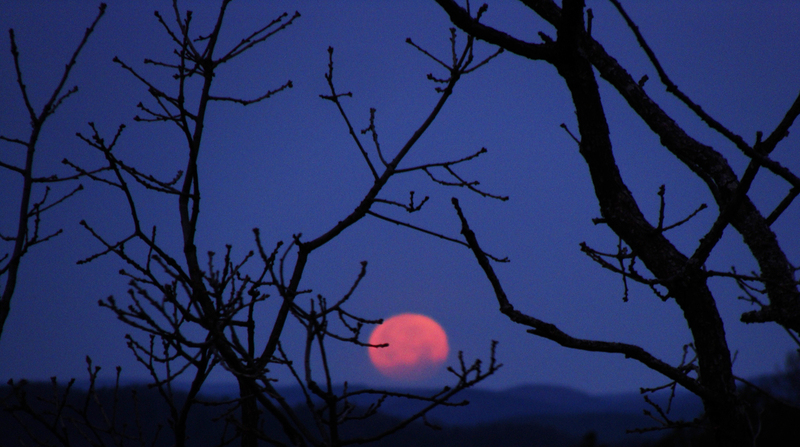 The January 16 full moon may have been the smallest of the year, but it still put on a big show. Managed to snap a shot just before it disappeared below the horizon, and just before we disappeared down the road for morning commute.